The three most common starting methods for squirrel cage motors are PWS (part winding start), WDS (wye-delta start), and electronic soft-start. Each serves approximately the same purpose but is dependent upon the number of contactors provided. Each also serves to energize the windings and gradually bring it to the run mode of operation. The intention of using PWS is to reduce the inrush of current to a motor in order to avoid an unacceptable voltage dip (flickering lights, contactors switching to the off position), rapid overheating, and increased amount of electrical noise. Only part of the winding is energized at a reduced starting current then increased after 2-3 seconds to energize the winding to the operating run mode. The PWS has six leads numbered 1, 2, 3, 7, 8, and 9. Leads 1, 2, and 3 are energized for startup. A combination of these six leads is then energized for run mode. The lead numbers on the PWS motor are different than that of the Wye-Delta. Using the Wye-Delta connection for a winding that is configured for PWS will result in having to rewire or return the motor. How can you tell PWS from WDS? The PWS starter uses two contactors whereas the WDS uses three with an additional contactor used to create the "Y" (wye) during startup. The WDS method uses the "Y" or wye configuration to energize the entire winding at start then moves to the delta configuration for run mode. The winding is energized at a reduced current allowing it to stay in the wye mode for the duration of start. Depending upon the application, "start" could amount to as much as 30 minutes. The motor torque in the wye mode is low which is preferable for loads that require a soft start. This prevents the motor from starting across the line possibly damaging the shaft or gears. The six leads for the Wye-Delta are numbered 1, 2, 3, 4, 5, and 6 with leads 1, 2, and 3 energized in start mode. Leads 4, 5, and 6 are connected by the wye contactor then 1-6, 2-4, 3-5 are energized for run mode. Like the PWS, wiring the wye-delta using the PWS configuration results in disassembling the motor and the wiring reconfigured. For across-the-line arrangement, you can use the electronic soft start method with one or two variations. In one version, SCRs (silicon controlled rectifiers) are used in series with the line of a 3-lead motor. The other version places the SCRs inside the delta of a wye-delta connected (six leads) motor. Both versions provide variable reduced voltage at the motor terminals on startup. 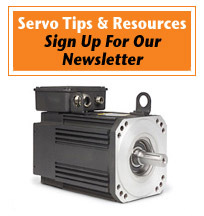 Essentially, the motor is soft-started then the voltage is increased until the motor achieves the rated speed eventually bypassing the soft-starter and connecting the motor across the line. Using electronic soft start gives you control over the starting current, torque, time, and acceleration. However, load inertia will affect starting time regardless of the reduced voltage or torque starting method.